Jonathan Lord MP visited us on Friday 13 January 2017. He engaged our very enthusiastic pupils in a lively discussion about his role as a Member of Parliament and the pupils asked lots of questions, including ‘What do you think about Brexit’, ‘How will leaving the EU affect people who live here, but work in Europe’ and ‘Have you met any famous people, apart from the Prime Minister and the Queen’! 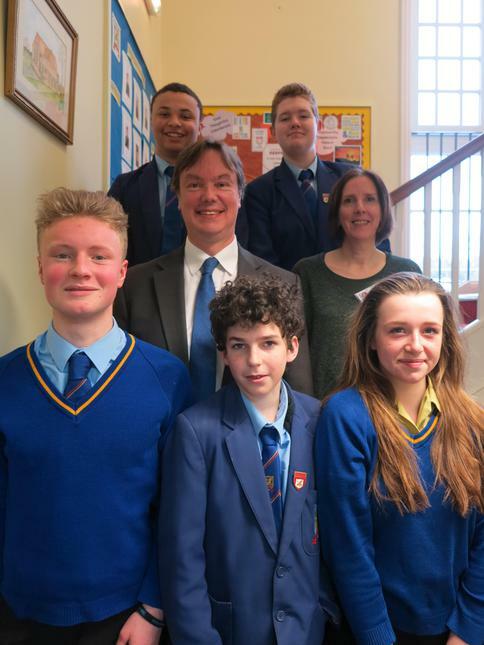 Mr Lord was then waylaid by several pupils and members of staff with questions about their upcoming trip to the Houses of Parliament and concerns over the mental health issues of young children. He then had a tour of the school and commented on the exceptional standard of art work in the art block.